If you notice these danger signs, it's time to run a mile. 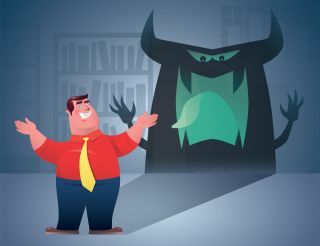 Clients from hell rarely have a tail, horns and the faint scent of brimstone, but there are ways you can spot a difficult customer before you sign your contract. Whether you're a graduate designer or an experienced creative director, knowing what to watch out for can save you plenty of headaches and heated discussions further down the line. Here are four sure-fire signs that danger is ahead. A client is employing you because they lack the skillset or resources to complete a project themselves. However, they should still have a goal in mind and a relatively clear idea of what they’re after and what they expect you to deliver. If not, expect the project to balloon and for frustrations on both sides of the table to rise as your blind attempts, predictably, miss the mark. A terrible client may expect certain behaviour, time concessions or discounts for no other reason than they think they deserve it. They don't understand (or care) that you have other tasks to complete, and believe you live to work for them. Giving them what they want only reinforces their belief. The best relationships are when you work with a client, not for them. This is how designers gain the best understanding of who their client is and how the design will work best for them. Clients who don’t see you as an equal won't treat you with the respect you deserve, and will act like working with them is a privilege for you. Nobody is thrilled to spend money if they don’t have to, but if a client devalues your work and efforts in an attempt to lower your rate, watch out. The freelancer-client relationship should be mutually beneficial. Clients should feel they get value out of their freelancers, and freelancers should feel valued by their clients. This article originally appeared in Computer Arts issue 257.